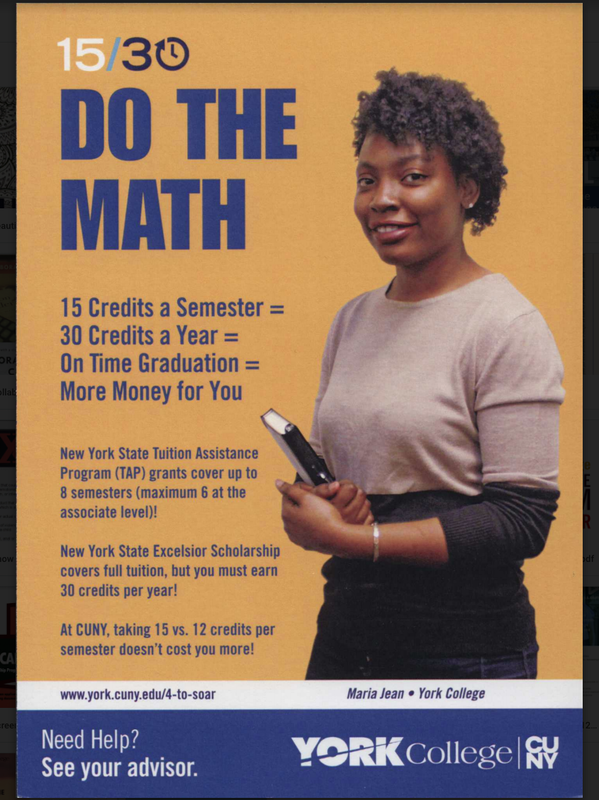 Cover of York College’s Student handbook. Image Credit: York College Division of Student Development. 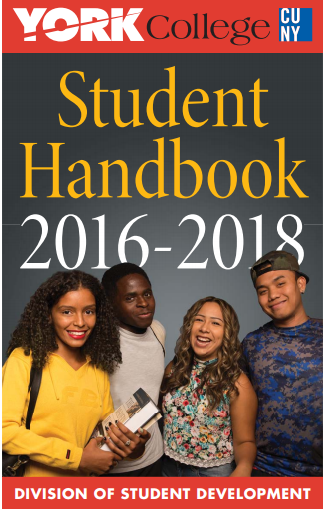 The Student Handbook of York College is for students to understand the important college policies and make them aware of their rights and responsibilities. It is a guide for students to find basic information about campus programs, resources, and offices. 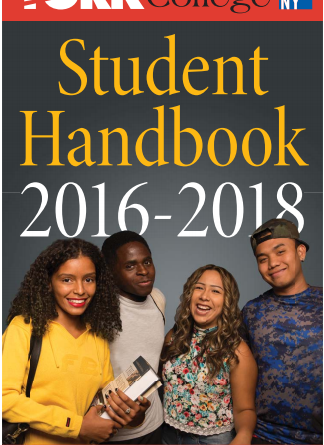 The student handbook provides information for new students who were unable to attend orientation prior to the beginning of an academic year. The student handbook is available to students on the college’s website and on the YC Cardinal app, an application for students and faculty. One of the interesting programs detailed in the handbook is Jumpstart. JumpStart is an AmeriCorp program that is a national early education organization that trains college students and community volunteers to work with preschool children in low-income communities. Students participating in Jumpstart at York College are called Corps members. They usually balance full-time academic schedules, part-time jobs, and family obligations to shape the lives of pre-schoolers in the south Jamaica community by giving between 200 and 300 hours of community service. 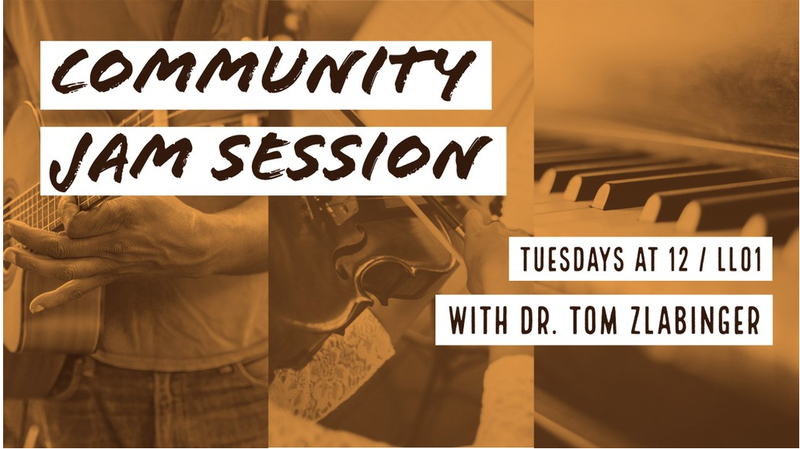 The handbook also mentioned the York College Association, which provides support for college-related events and programs that cannot be funded by the tax levy budget of the college. It is a state chartered corporation with a board of directors comprised of students, faculty and administrators. Any organization which is primarily social in nature or has a restricted membership is not eligible for financial support from the Association. The Association is responsible for allocating a portion of the student activity fee paid by each student at registration. Another program that helps student parents in York College detailed was The York College Child and Family Center. The program was designed to meet the needs of student parents by providing affordable and flexible child care for toddlers and pre-schoolers, but it does not provide drop-in or babysitting services. The center has eight classrooms, a parent/staff resource room, a food preparation area and offices. Enrollment in the center is available for children of York College students, staff and faculty and the children are registered in accordance to parent’s class schedule. The York College Alumni Association provides tutoring in reading, writing, and other subjects to students and residents of the community. The Alumni Association was incorporated in 1979 to promote the interests of York College, its graduates, and the surrounding community. Members in this organization include York graduates and current students can become members after they have completed 94 credits or more. An important college policy highlighted in the handbook involves the Henderson rules. They are set to maintain public order and a safe environment on campus. The Henderson rules are a list of ten rules dealing with student conduct on campus and details the college’s rights to take action against any violations of the acceptable standards of conduct. What the student handbook does not provide information for is majors and minors in each department of the school neither provide information about social clubs to join. Information sessions for each department can provide information about the majors and minors while club fairs showcase various clubs at the school. Other information, with the help of administration and staff, can be found elsewhere on the college’s website.